NEW YORK (NYTIMES) - In May (2018), an elderly man was admitted to the Brooklyn branch of Mount Sinai Hospital for abdominal surgery. A blood test revealed he was infected with a newly discovered germ as deadly as it was mysterious. Doctors swiftly isolated him in the intensive care unit (ICU). The germ, a fungus called Candida auris, preys on people with weakened immune systems and is quietly spreading across the globe. Over the past five years, it has hit a neonatal unit in Venezuela, swept through a hospital in Spain, forced a prestigious British medical centre to shut down its ICU, and taken root in India, Pakistan and South Africa. Recently, it reached New York, New Jersey and Illinois, leading the federal Centres for Disease Control and Prevention (CDC) to add it to a list of germs deemed "urgent threats". The man at Mount Sinai died after 90 days in the hospital, but the fungus did not. Tests showed it was everywhere in his room, so invasive that the hospital needed special cleaning equipment and had to rip out some of the ceiling and floor tiles to eradicate it. 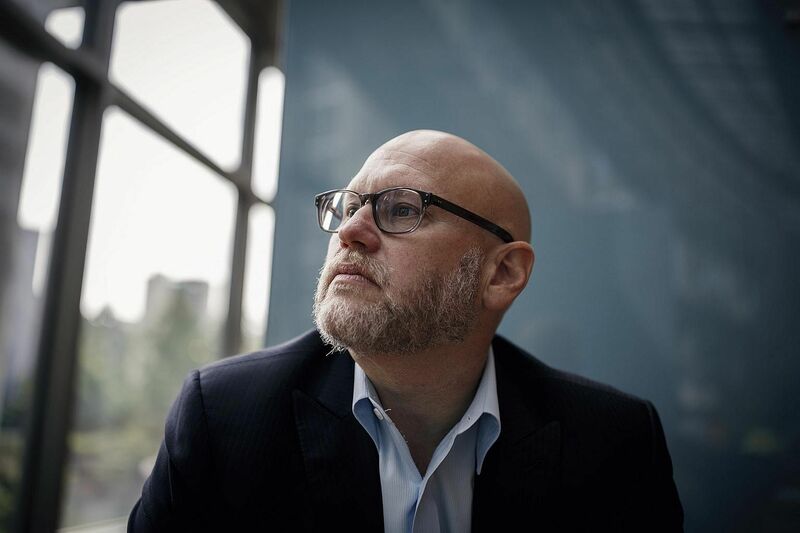 "Everything was positive - the walls, the bed, the doors, the curtains, the phones, the sink, the whiteboard, the poles, the pump," said Dr Scott Lorin, the hospital's president. "The mattress, the bed rails, the canister holes, the window shades, the ceiling, everything in the room was positive." Candida auris is so tenacious in part because it is impervious to major anti-fungal medications, making it a new example of one of the world's most intractable health threats: the rise of drug-resistant infections. For decades, public health experts have warned that the overuse of antibiotics is reducing the effectiveness of drugs that have lengthened lifespans by curing bacterial infections once commonly fatal. "It's an enormous problem," said Dr Matthew Fisher, a professor of fungal epidemiology at Imperial College London and co-author of a recent scientific review on the rise of resistant fungi. "We depend on being able to treat those patients with anti-fungals." Yet, even as world health leaders have pleaded for more restraint in prescribing anti-microbial drugs to combat bacteria and fungi - convening the United Nations General Assembly in 2016 to manage an emerging crisis - gluttonous overuse of them in hospitals, clinics and farming has continued. Resistant germs are often called "superbugs", but this is simplistic because they do not typically kill everyone. Instead, they are most lethal to people with immature or compromised immune systems, including newborns and the elderly, smokers, diabetics and people with autoimmune disorders who take steroids that suppress the body's defences. Scientists say that unless more effective new medicines are developed and unnecessary use of anti-microbial drugs is sharply curbed, risk will spread to healthier populations. In the United States, two million people contract resistant infections annually and 23,000 die from them, according to the official CDC estimate. That number was based on 2010 figures; more recent estimates from researchers at Washington University School of Medicine put the death toll at 162,000. Worldwide fatalities from resistant infections are estimated at 700,000. Antibiotics and anti-fungals are both essential to combat infections in people, but antibiotics are also used widely to prevent disease in farm animals, and anti-fungals are also applied to prevent agricultural plants from rotting. Yet, as the problem grows, it is little understood by the public - in part because the very existence of resistant infections is often cloaked in secrecy. With bacteria and fungi alike, hospitals and local governments are reluctant to disclose outbreaks for fear of being seen as infection hubs. Even the CDC, under its agreement with states, is not allowed to make public the location or name of hospitals involved in outbreaks. State governments have in many cases declined to publicly share information beyond acknowledging that they have had cases. Candida auris, which infected the man at Mount Sinai, is one of dozens of dangerous bacteria and fungi that have developed resistance. Yet, like most of them, it is a threat that is virtually unknown to the public. Other prominent strains of the fungus Candida - one of the most common causes of bloodstream infections in hospitals - have not developed significant resistance to drugs, but more than 90 per cent of Candida auris infections are resistant to at least one drug, and 30 per cent are resistant to two or more drugs, the CDC said. 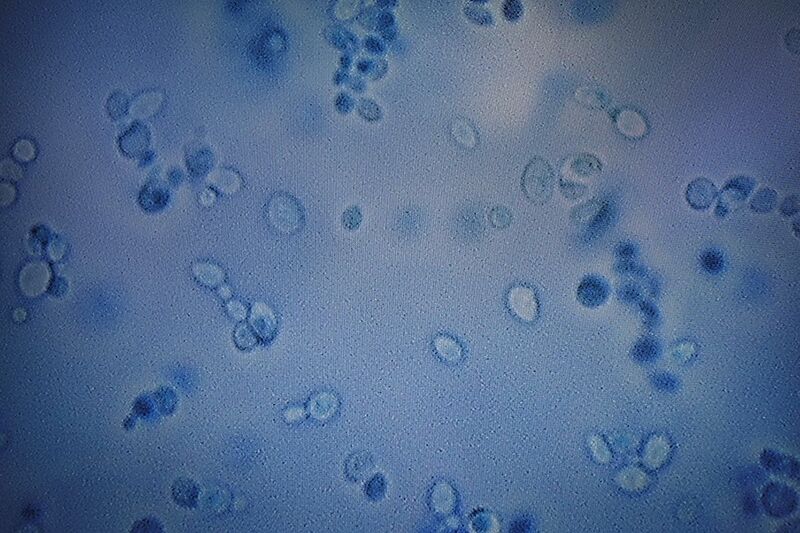 Dr Lynn Sosa, Connecticut's deputy state epidemiologist, said she now sees Candida auris as the top threat among resistant infections. "It's pretty much unbeatable and difficult to identity." Nearly half of patients who contract Candida auris die within 90 days, said the CDC. Yet the world's experts have not nailed down where it came from. "It is a creature from the black lagoon," said Dr Tom Chiller, who heads the fungal branch at the CDC, which is spearheading a global detective effort to find treatments and stop the spread. "It bubbled up and now it is everywhere." 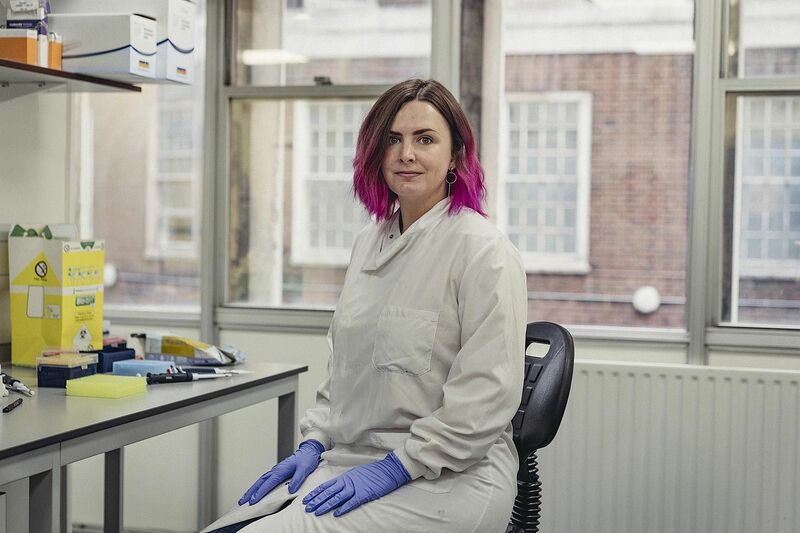 In late 2015, Dr Johanna Rhodes, an infectious disease expert at Imperial College London, got a panicked call from the Royal Brompton Hospital, a British medical centre outside London. Candida auris had taken root there months earlier and the hospital could not clear it. "'We have no idea where it's coming from. We've never heard of it. It's just spread like wildfire,'" Dr Rhodes said she was told. She agreed to help the hospital identify the fungus' genetic profile and clean it from rooms. Under her direction, hospital workers used a special device to spray aerosolised hydrogen peroxide around a room used for a patient with Candida auris, the theory being that the vapour would scour each nook and cranny. They left the device going for a week. Then they put a "settle plate" in the middle of the room with a gel at the bottom that would serve as a place for any surviving microbes to grow, Dr Rhodes said. Only one organism grew back. Candida auris. It was spreading, but word of it was not. The hospital, a speciality lung and heart centre that draws wealthy patients from the Middle East and around Europe, alerted the British government and told infected patients, but made no public announcement. "There was no need to put out a news release during the outbreak," said Mr Oliver Wilkinson, a spokesman for the hospital. This hushed panic is playing out in hospitals around the world. Individual institutions and national, state and local governments have been reluctant to publicise outbreaks of resistant infections, arguing there is no point in scaring patients - or prospective ones. Dr Silke Schelenz, Royal Brompton's infectious disease specialist, found the lack of urgency from the government and hospital in the early stages of the outbreak "very, very frustrating". "They obviously didn't want to lose reputation," Dr Schelenz said. "It hadn't impacted our surgical outcomes." By the end of June 2016, a scientific paper reported "an ongoing outbreak of 50 Candida auris cases" at Royal Brompton and the hospital took an extraordinary step - it shut down its ICU for 11 days, moving intensive care patients to another floor, again with no announcement. Days later, the hospital finally acknowledged to a newspaper that it had a problem. A headline in The Daily Telegraph warned, Intensive Care Unit Closed After Deadly New Superbug Emerges In The UK. Later research showed there were eventually 72 total cases, though some patients were only carriers and were not infected by the fungus. Yet, the issue remained little known internationally, while an even bigger outbreak had begun in Valencia, Spain, at the 992-bed Hospital Universitari i Politecnic La Fe. There, unbeknown to the public or unaffected patients, 372 people were colonised - meaning they had the germ on their body, but were not sick with it - and 85 developed bloodstream infections. A paper in the journal Mycoses reported that 41 per cent of the infected patients died within 30 days. A statement from the hospital said it was not necessarily Candida auris that killed them. "It is very difficult to discern whether patients die from the pathogen or with it, since they are patients with many underlying diseases and in very serious general condition," the statement said. One author of the article in Mycoses, a doctor at the hospital, said in an e-mail that the hospital did not want him to speak to journalists because it "is concerned about the public image of the hospital". The secrecy infuriates patient advocates, who say people have a right to know if there is an outbreak, so they can decide whether to go to a hospital, particularly when dealing with a non-urgent matter, like elective surgery. "Why the heck are we reading about an outbreak almost a year-and-a-half later - and not have it front-page news the day after it happens?" said Dr Kevin Kavanagh, a physician in Kentucky and board chairman of Health Watch USA, a non-profit patient advocacy group. "You wouldn't tolerate this at a restaurant with a food-poisoning outbreak." "It's hard enough with these organisms for healthcare providers to wrap their heads around it," said Dr Anna Yaffee, a former CDC outbreak investigator who dealt with resistant infection outbreaks in Kentucky in which the hospitals were not publicly disclosed. "It's really impossible to message to the public." 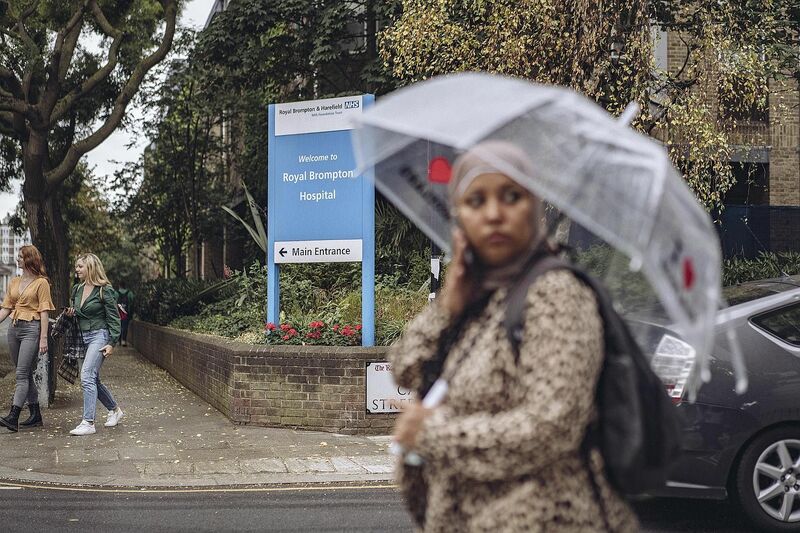 Officials in London did alert the CDC to the Royal Brompton outbreak while it was occurring. And the CDC realised it needed to get the word to US hospitals. On June 24, 2016, the CDC blasted a nationwide warning to hospitals and medical groups and set up an e-mail address, candidaauris@cdc.gov, to field queries. 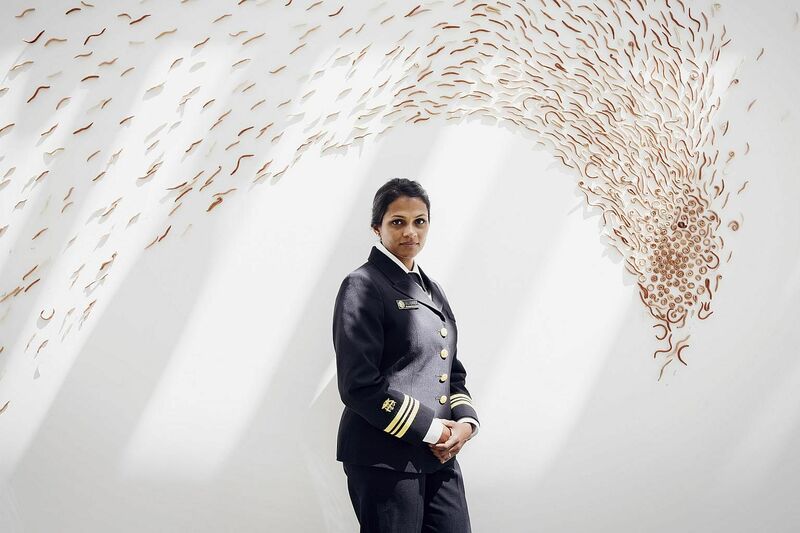 Dr Snigdha Vallabhaneni, a key member of the fungal team, expected to get a trickle - "maybe a message every month". In the US, 587 cases of people having contracted Candida auris have been reported, concentrated with 309 in New York, 104 in New Jersey and 144 in Illinois, said the CDC. The symptoms - fever, aches and fatigue - are seemingly ordinary, but when a person gets infected, particularly someone already unhealthy, such commonplace symptoms can be fatal. The earliest known case in the US involved a woman who arrived at a New York hospital on May 6, 2013, seeking care for respiratory failure. She was 61 and from the United Arab Emirates, and she died a week later, after testing positive for the fungus. At the time, the hospital had not thought much of it, but three years later, it sent the case to the CDC after reading the agency's June 2016 advisory. This woman probably was not America's first Candida auris patient. She carried a strain different from the South Asian one most common here. It killed a 56-year-old American woman who had travelled to India in March 2017 for elective abdominal surgery, contracted Candida auris and was airlifted back to a hospital in Connecticut that officials will not identify. She was later transferred to a Texas hospital, where she died. The germ has spread into long-term care facilities. In Chicago, 50 per cent of the residents at some nursing homes have tested positive for it, the CDC has reported. The fungus can grow on intravenous lines and ventilators. Workers who care for patients infected with Candida auris worry for their own safety. Dr Matthew McCarthy, who has treated several Candida auris patients at Weill Cornell Medical Centre in New York, described experiencing an unusual fear when treating a 30-year-old man. "I found myself not wanting to touch the guy," he said. "I didn't want to take it from the guy and bring it to someone else." He did his job and thoroughly examined the patient, but said: "There was an overwhelming feeling of being terrified of accidentally picking it up on a sock or tie or gown." As the CDC works to limit the spread of drug-resistant Candida auris, its investigators have been trying to answer the vexing question: Where in the world did it come from? The first time doctors encountered Candida auris was in the ear of a woman in Japan in 2009 (auris is Latin for ear). It seemed innocuous at the time, a cousin of common, easily treated fungal infections. Three years later, it appeared in an unusual test result in the lab of Dr Jacques Meis, a microbiologist in Nijmegen, Netherlands, who was analysing a bloodstream infection in 18 patients from four hospitals in India. Soon, new clusters of Candida auris seemed to emerge with each passing month in different parts of the world. The CDC investigators theorised that Candida auris started in Asia and spread across the globe. But when the agency compared the entire genome of auris samples from India, Pakistan, Venezuela, South Africa and Japan, it found that its origin was not a single place and there was not a single auris strain. The genome sequencing showed that there were four distinctive versions of the fungus, with differences so profound they suggested that these strains had diverged thousands of years ago and emerged as resistant pathogens from harmless environmental strains in four different places at the same time. "Somehow, it made a jump almost seemingly simultaneously, seemed to spread and is drug-resistant, which is really mind-boggling," Dr Vallabhaneni said. There are different theories as to what happened with Candida auris. Dr Meis, the Dutch researcher, said he believed that drug-resistant fungi were developing thanks to heavy use of fungicides on crops. Dr Meis became intrigued by resistant fungi when he heard about the case of a 63-year-old patient in the Netherlands who died in 2005 from a fungus called Aspergillus. It proved resistant to a front-line anti-fungal treatment called Itraconazole. That drug is a virtual copy of the azole pesticides that are used to dust crops the world over and account for more than one-third of all fungicide sales. A 2013 paper in PLOS Pathogens journal said it appeared to be no coincidence that drug-resistant Aspergillus was showing up in the environment where the azole fungicides were used. The fungus appeared in 12 per cent of Dutch soil samples, for example, but also in "flower beds, compost, leaves, plant seeds, soil samples of tea gardens, padi fields, hospital surroundings and aerial samples of hospitals". Dr Meis visited the CDC last summer to share research and theorise that the same thing is happening with Candida auris, which is also found in the soil - azoles have created an environment so hostile that the fungi are evolving, with resistant strains surviving. "On everything - potatoes, beans, wheat, anything you can think of - tomatoes, onions," said Dr Rhodes, the infectious disease specialist who worked on the London outbreak. "We are driving this with the use of anti-fungicides on crops." Dr Chiller theorises that Candida auris may have benefited from the heavy use of fungicides. His idea is that it has existed for thousands of years, hidden in the world's crevices, a not particularly aggressive bug. But as azoles began destroying more prevalent fungi, an opportunity arrived for it to enter the breach, a germ that had the ability to readily resist fungicides now suitable for a world in which fungi less able to resist are under attack. The mystery of its emergence remains unsolved and its origin seems, for the moment, to be less important than stopping its spread. For now, the uncertainty around Candida auris has led to a climate of fear and, sometimes, denial. Last spring, Ms Jasmine Cutler, 29, went to visit her 72-year-old father at a hospital in New York City, where he had been admitted because of complications from a surgery the previous month. When she arrived at his room, she discovered that he had been sitting for at least an hour in a recliner, in his faeces, because no one had come when he had called for help to use the bathroom. Ms Cutler said it became clear to her that the staff were afraid to touch him because a test had shown that he was carrying Candida auris. "I saw doctors and nurses looking in the window of his room," she said. "My father's not a guinea pig. You're not going to treat him like a freak at a show." He was eventually discharged and told he no longer carries the fungus. But he declined to be named, saying he feared being associated with the frightening infection.